Events – VIDA MEANS LIFE! Please join us on Sunday, June 2, 2019 for VIDA’s 3nd Annual Bowl for Life 2019 between the hours of 1:00 pm – 3:00 pm at Kearny Mesa Bowl, San Diego, CA. This year’s fundraiser is hosted by the fabulous and talented Glitz Glam. 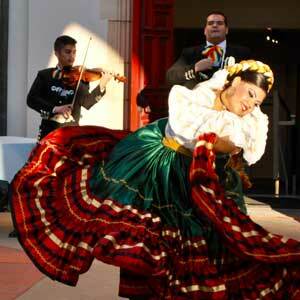 DJ Calypzo will be spinning the latest salsas and cumbias while you bowl. Photography provided by Big Mike Photography. Proceeds from this fundraiser will benefit the LGTBQ Latinx Scholarship Fund 2020 dedicated to the individuals who actively promote human rights, equality, and opportunities for all. High school and college students who identify as lesbian, gay, transgender, bisexual or queer (LGBTQ) can often feel alienated by their peers and teachers, which influences school performance and self-esteem. This is an added stress to the rigorous college application process, and of course, finding a way to pay for your college education. To address some (if not all) of these issues facing LGBTQ Latinx students, VIDA goal is to fund and provide 2 $1,000.00 scholarships in 2020. Requested donation is $30.00. 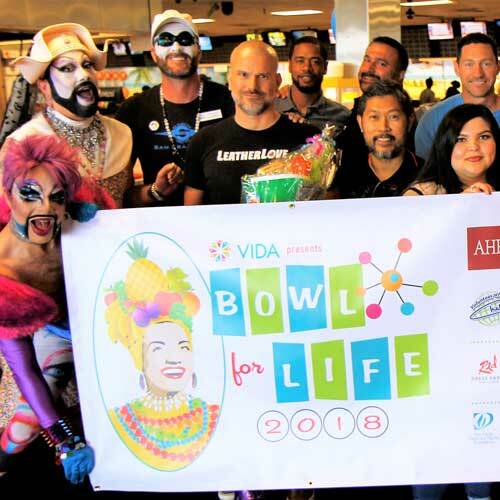 On Sunday, June 3, 2018, VIDA held its 2nd Annual Bowl for Life 2018 fundraiser hosted by Glitz Glam with a special appearance by The San Diego Sisters of Perpetual Indulgence. Proceeds to benefit the Latino LGBTQ Scholarship Fund dedicated to those individuals who actively promote human rights and equality for all people. 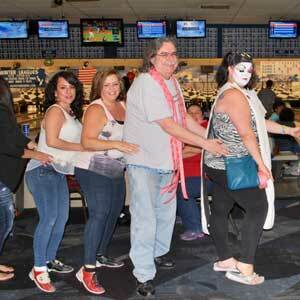 While bowling, individuals danced to the latest cumbias and salsas by DJ Clypzo. Our goal was to raise funds for 2 $1,000.00 scholarships, thanks to the success of this fundraiser VIDA was able to raise funds for 3 $1,000.00 scholarships. On Sunday, June 4, 2017, Glitz Glam hosted the 1st Annual GLAM-A-THON, a cabaret-glam-style show with special appearance by Kicxky Vixen-Styles, EarthIntruder, Sienna Desire, Xochi Mochi, Grotesqua, Daniel Demented, Loris Queen, Lady VaJayJay, & Ursula Major. Proceeds dedicated to the continued support of education and communication focused on the prevention of HIV incidence within our Latino youth community. On Saturday, July 9, 2016, VIDA held its 1st Annual Bowl for Life 2016 fundraiser hosted by Glitz Glam as Carmen Miranda. 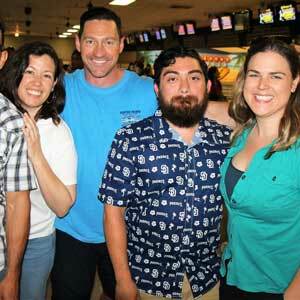 Bowlers danced to the latest Latin swing, cumbias, and salsa music provided by DJ Clypzo while bowling. 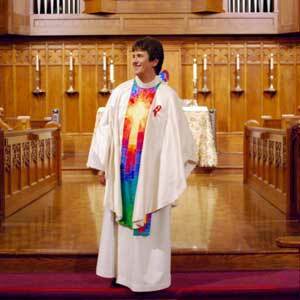 The San Diego Sisters of Perpetual Indulgence gave a speech on the impact HIV AIDS that moved people to tears. Funds raised supported the continued education and community alliances in the against the rise of HIV incidences plaguing our Latino youth community. On Saturday, October 15, 2016, VIDA held its 2nd Annual National Latino AIDS Awareness Day Memorial for those Latino lives impacted by HIV & AIDS. City Councilman David Alvarez spoke on the importance of education and communication in the family, partners, and in the community. This year, VIDA focused on the impact of stigmas and how the community needs to work together to overcome the barriers that are caused by stigmas and ignorance. On National Latino AIDS Awareness Day, Thursday, October 15, 2015, VIDA held a memorial & remembrance service for those Latino lives and families that have been impacted by HIV & AIDS at St. Paul’s Cathedral, San Diego, CA. San Diego Community Leaders spoke about the pandemic that continues to impact the Latinx community of all ages and genders and emphasized the importance of that continued work is essential in the fight against HIV & AIDS. HIV testing provided by CASA of San Ysidro.